Being born and raised in rural Rutherford County located in western North Carolina, I grew up surrounded by textile mills. Almost every family had at least one member who was a weaver, filling hauler, loom fixer, etc. Working in textiles was literally a common thread woven throughout the lives of local citizens. 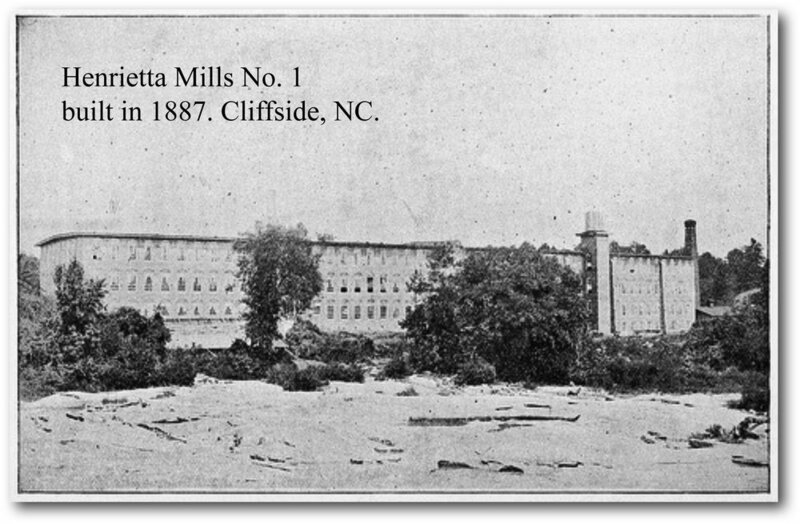 With the creation of North Carolina's first cotton textile mill around 1815 by Michael Schenck in Lincoln County, this marked the beginning of a long process towards building the state's manufacturing industries. By the reconstruction years following the Civil War, soldiers often returned home to a devastated landscape void of profitable work options. Farms had often times been decimated and unkept, leaving a daunting task for the farmer to attempt to rebuild and regain some sense of livelihood. It wasn't until 1887 that Raleigh Rutherford Haynes began construction on Rutherford County's first textile mill. Until now, self-sustained farms with just a scattering of various merchants made up the landscape of commerce in rural areas such as Rutherford County. With the coming of the textile industry, local farmers began their "migration" into the textile mills, learning new skills, and providing a predictable and guaranteed income for their families. By 1899, North Carolina had 177 textile mills with 30,273 workers and by 1923, there were 351 mills in North Carolina, employing 81,041 workers. Fast forward 100 years. While hundreds of mills closed during the late 1990's and early 2000's due to economic strains, STI survived--and thrived. STI introduced Revolution Performance Fabrics in 2015, which has become one of the most in-demand performance fabrics in the home furnishings industry. Family owned, and in continuous operation since 1964, STI is poised to thrive through innovative products, a dedicated work force, and components 100% sourced in the USA. I am proud to work as a designer for STI, and am excited to know they continue weaving those common threads from long ago with innovation and a vision for the future. Above: A group of STI employees standing in front of their new 150,000 sq. ft. plant that opened in January 2018.